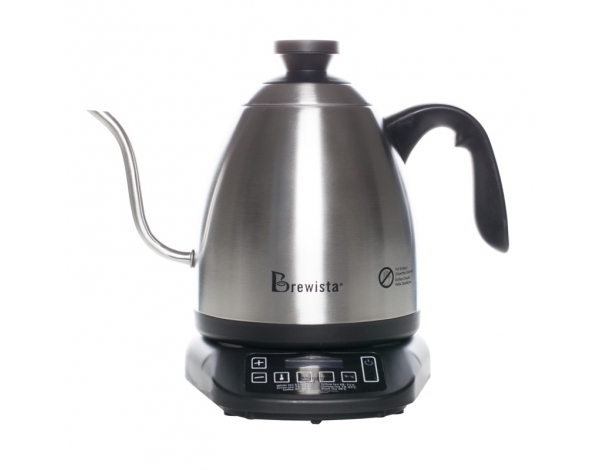 The Brewista smart pour kettle allows for setting any desired temperature between 60 and 100 degrees Celsius and maintaining the heat for one hour. 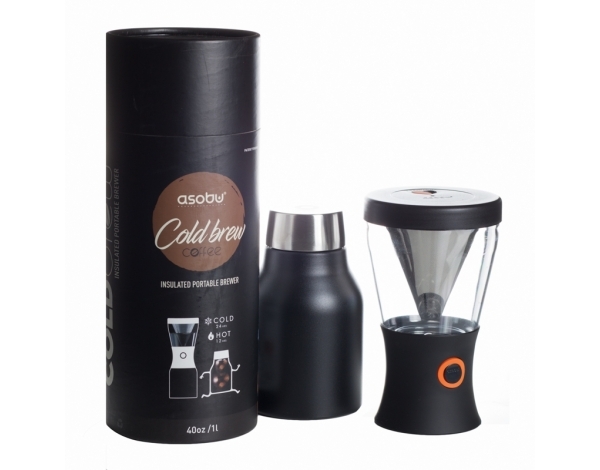 Can't imagine your morning without hot brew? 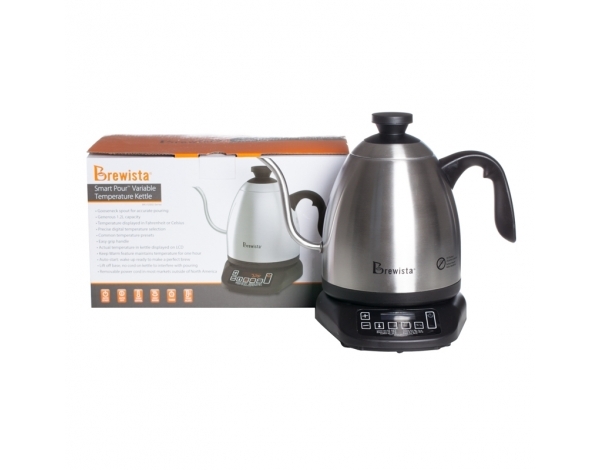 No problem - program the kettle and water at the right temperature will be ready at the pre-set time! 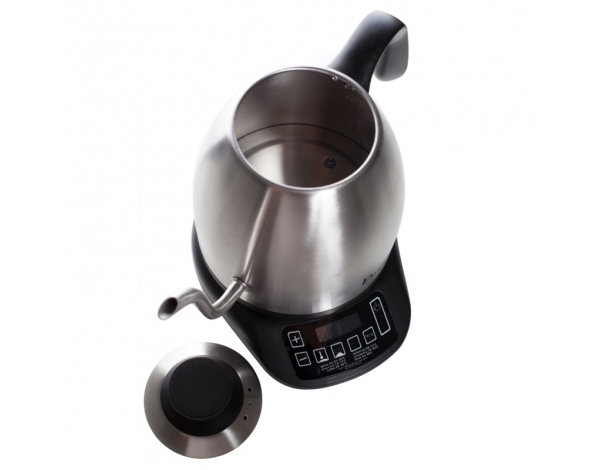 Indispensable for lovers of alternative brewing methods. 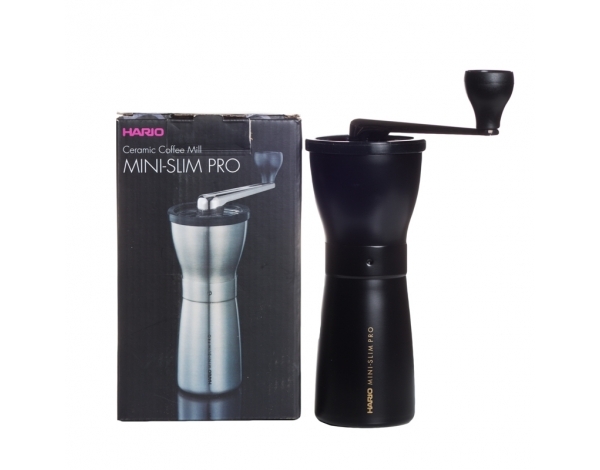 Adjust temperature and control water flow through the profiled spout. 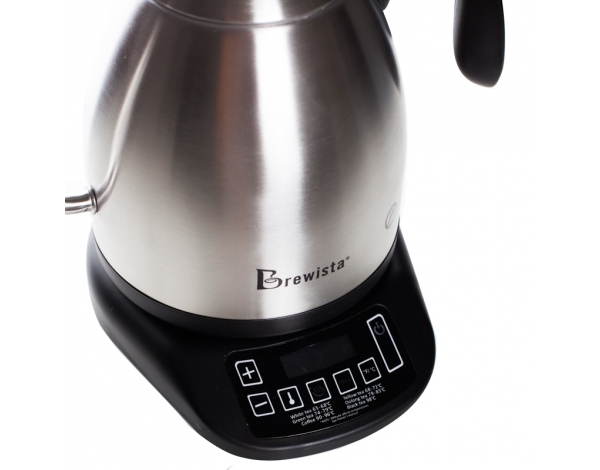 The timer will help you determine the right brewing time. 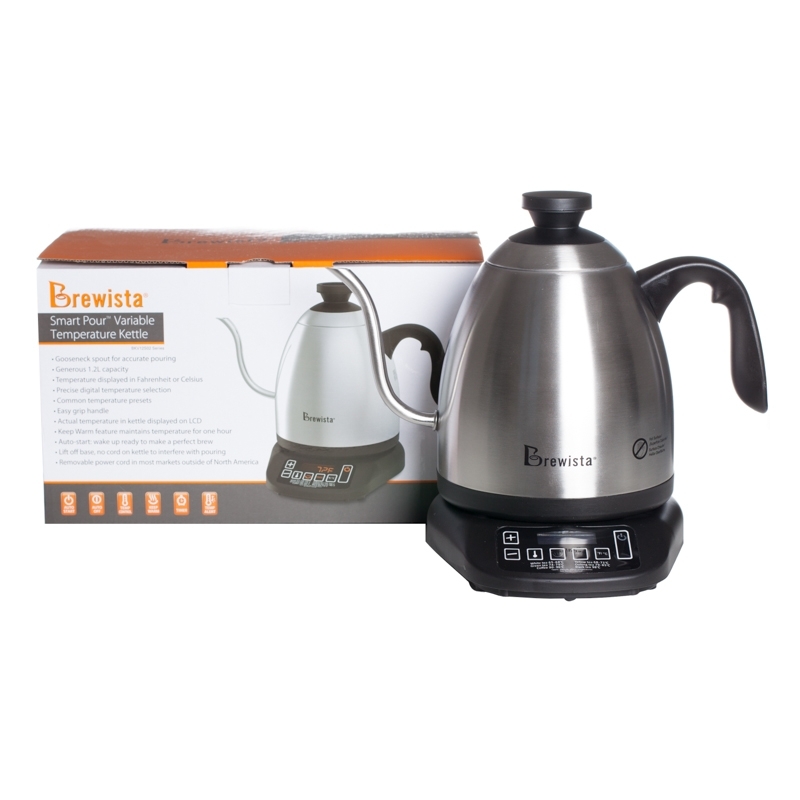 The most convenient features for any tea or coffee lover: -Allows the user to program and hold the pre-set temperature for up to an hour - Countdown timer - Automatic start function - Temperature displayed in Celsius or Fahrenheit - Allows the user to program heating at a specific time - Displays current temperature and saves the last setting even when unplugged - Pre-programmed brewing temperature for the most common drinks - Easy grip handle for complete pour control - Brushed stainless steel finish - Perfectly profiled spout - Cable may be detached or wrapped in the base - Removable lid -1500W - European plug.